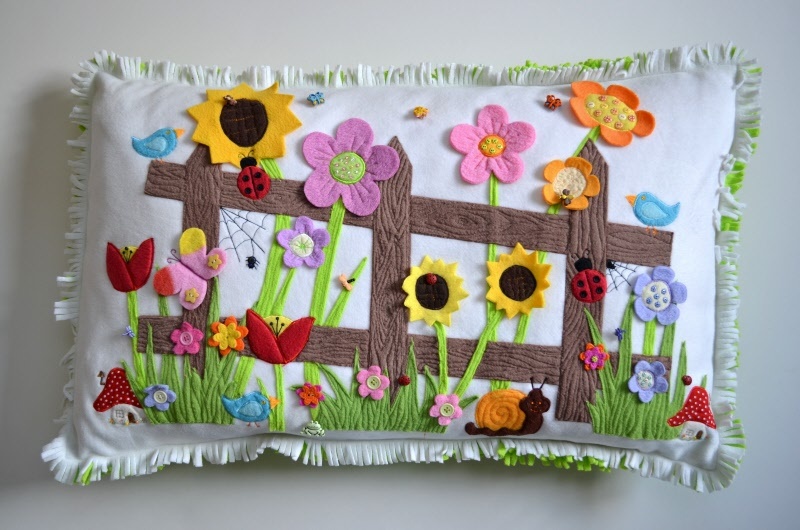 This charming fleece cushion has been designed by Gail Penberthy. It depicts a fence with 3D flowers and some country critters to adorn it. for all of you that love Gail' other fleece pieces this is a must too. Using the fusible appliqué technique, it measures approximately 30 x 19 inches.